In a fitting award, Wood River High School boys’ varsity soccer coach Luis Monjaras and Jerome High School boys’ coach Robert Garcia shared “Coach of the Year” honors when the Great Basin Conference 2013 All-Conference teams were announced Wednesday. Fifth-year Hailey coach Monjaras guided Wood River (12-4-4) to its first-ever State 4A championship game appearance and a runner-up finish, while 10th-year Jerome coach Garcia took the Tigers (17-4-0) to their first-ever State 4A tournament title with a thrilling 3-1 win over Wood River Saturday in Middleton. The boys’ “Player of the Year” was Canyon Ridge senior goalkeeper Josh Clark. In all, seven Wood River boys and seven Wolverine girls were singled out, with first-team honors going to Eron Bates, Jose Ortiz, Lucy Brannon, Jesse Cole and Olivia Thornton. Meanwhile, Wood River and Community School players participated in the second annual All-Star Senior Soccer Game Tuesday at Wendell High School. In the girls’ game, the South won 5-2 over the North with South goals by Jenna Jarolimek of Filer, Ellie Packham (2) and Liz Guzman of Canyon Ridge and Darby Robertson of Filer. Scoring for the North that included Community School players were Yesenia Martinez and Ashley Cox, both from Jerome. Scoring by three Wood River boys—Jose Ortiz, Andrew Graves and Eron Bates—led the North boys that included Community School players to a 4-1 win over the South. Jesse Cardenas of Gooding also scored for the North. The lone South goal came from David Geske of Twin Falls. GBC boys’ first team: Edgar Juarez (Jerome senior); Eron Bates and Jose Ortiz (WR seniors); Christian Mahoney (Burley senior); Taylor Haman and David Geske (Twin Falls seniors); Eric Tapia and Giovanni Saldana (Minico juniors); Yovani Martinez and Freddy Gonzalez (Jerome juniors); and Oscar Delatorre (Canyon Ridge senior). GBC girls’ first team: Ellie Packham (Canyon Ridge senior); Ashley Cox and Yesenia Martinez (Jerome seniors); Aracely Cuevas (Burley senior); Lucy Brannon and Olivia Thornton (WR juniors); Jesse Cole (WR freshman); Carolyn Hernandez (Twin Falls senior); Mehli Marcellus, Kylie Greenawald and Hannah Greenawald (Twin Falls juniors). GBC boys’ second team: Zac Miczulski and Miguel Velasco (WR seniors); Jackson Greener (Burley senior); Axel Pihl and Tanner Rawson (Twin Falls seniors); Daniel Coats (Minico junior); Antonio Grandos and Jose Vidaca (Jerome soph, junior); Rodrigo Perez (Twin Falls soph); Keion Peterson and Om Basnet (Canyon Ridge junior, senior). 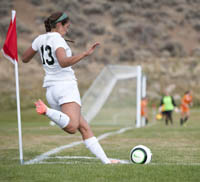 GBC girls’ second team: Tate Morell and Samantha Sutton (WR juniors); Griselda Arevalo (Minico senior); Allison Simmons (Twin Falls senior); Sabrina Tarchione and Peyton Karl (Twin Falls juniors); Gaby Cerrantes (Jerome soph); Kestle Mosoner (Burley soph); Courtney Stenger and Kennedy Stenger (Canyon Ridge juniors); and Lindsey Williams (Twin Falls soph). GBC boys’ honorable mention: Stephen Pfeiffer and Andrew Graves (WR seniors); Jon Scott (WR junior); Karsten Hinckley (Burley senior); Carlos Juarez (Minico senior); Jorge Baeza (Jerome senior); Brian Quiterio (Canyon Ridge senior); and Ryan Walters (Twin Falls soph). GBC girls’ honorable mention: Laurel Gaeddert (WR senior); Taylor Hill, Melissa Valencia and Arley Alaya (Jerome seniors); Rebecca Behrens (Twin Falls senior); Lupe Saldana (Minico senior); Maria Mojica and Ivonne Guaddarama (Burley seniors); Jackie Hamblin (Burley junior); Alexandra Kamossa (Canyon Ridge soph); and Victoria Vasquez (Minico senior).